This month has been a good one; I have done things that I never thought I would and it feels great! I’m well on my journey of happiness now, thanks to April. So, I thought I would reflect on what feels like such a good month and share a few of my April highlights. Please feel free to do the same in the comment box below, I’d love to read them..
Just so you know, if anything in my favourites list appeals to you, I have tried to put a link on each one (if I could find it) so hover over the word and it should lead you to the webpage. I have experienced a new feeling this month, a feeling of achievement. Don’t get me wrong, in the most modest way possible (am I allowed to call myself that? ), I do think I’ve achieved a lot in my life so far but none of my achievements give the sense of relief and happiness that my blog does. So, yeah, achievement…I think that’s fitting! It has to be…Nick Mulvey ‘Cucurucu’; it had me doing my happy dance again! It’s such an uplifting but chilled song, I love it and if you haven’t listened to it yet, do it now, NOW!! I don’t watch much TV at all. However, when I do, I like to watch ‘Made in Chelsea’ with Dan on a Monday night. I am also enjoying a bit of ‘Britain’s Got Talent’. Saturday night TV is usually easy watching. Easy… ‘Calm: Calm the mind. Change the world.’ by Michael Acton Smith. It has changed my outlook on life and I keep delving into it to check what I can do next. I love, love, love it and think you should buy it. By the way, I’m not trying to be mean by leaving the other one out, I am yet to read it but as soon as I do, I will let you know what’s it like. In fact, I’ve been thinking about starting my own little book club on here so let me know if you think it’s a good idea. For breakfast in the mornings (obviously), I eat yogurt and honey but not just any yogurt, I eat Fage (don’t ever ask me to pronounce this) Greek Yogurt, in the blue tub! Dan has the pink tub, I think it’s probably better for you but the blue is so, so thick and creamy and I love it; “a little bit of what you fancy” as my mum always used to say. “Everything in proportion”, isn’t it Nic? I should probably try it with some fruit. I will and I’ll let you know what it’s like. If you have any other suggestions of what to eat it with, please say. However, please remember my little (HUGE) sweet tooth when suggesting! You can probably buy this in any supermarket, I buy mine from Sainsburys. Hot milk, all the way. Recommended in ‘Calm‘, I really think it’s helping and I’m sleeping a little better. I love this vest, I love the fit, the colour and the cut at the top. It cost me £4 in Primark and considering a month ago, I wouldn’t have stepped foot in Primark (not because I’m a snob but because every time I did, I thought I was going to have a panic attack; BUSY), I think this is a good find! I love it and you can tell because I am wearing it a lot. I usually wear it with my black Topshop Leigh Super Soft skinny jeans (ultimate faves). I like this outfit, I feel nice in it. I love a little gold necklace and this month, I have been loving my one from Topshop. Simple but, I think, beautiful. I couldn’t find a link sorry. 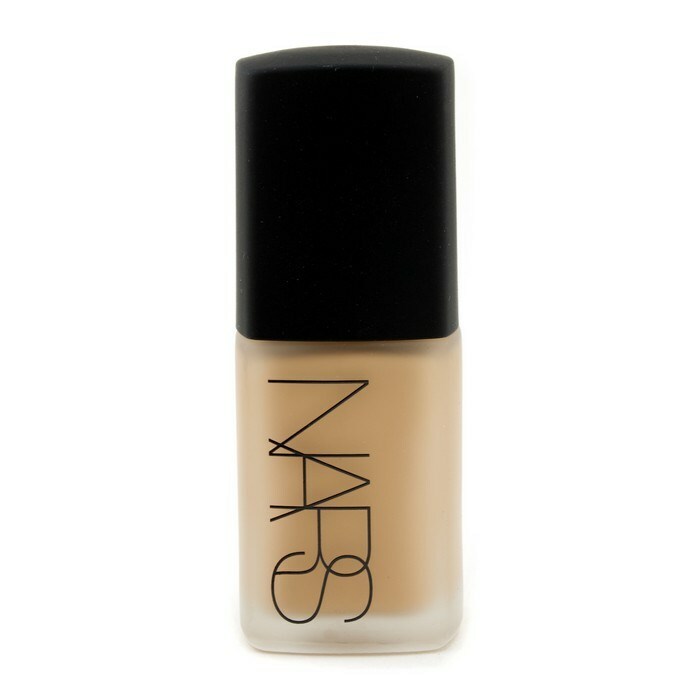 NARS Sheer Matte Foundation:. I have the colour, Deauville. I absolutely love it and have had many a compliment on my skin when wearing it. It was hard to get hold of and pretty expensive but definitely, definitely worth it. Plus, whilst I was trying to get hold of it (as it was around Christmas and out of stock), the lovely staff at NARS, John Lewis, Cardiff would give me samples. I love a bit of good customer service. Waterstones, Cardiff. Thank you for reminding me how good it is to be a bookshop. My blog.I think you could all see this coming. I just love it, it’s an escape from the real world. ‘Country vs City’ I absolutely loved to hear your comments and being my first ever blog, I think it did well. – Having a new niece/nephew. I love him/her so much already! I can’t wait. – Reading ‘Still Alice‘ by Lisa Genova. Nia gave it to me a couple of weeks ago and I’m dying to read it. It’s been on hold because of ‘Calm‘ but, it’s going to be my thing for me next month and I’m looking forward. So, there are my April favourites and I’m so grateful to April for making me look forward to May and not dread it. April, you have been a good month. I have started to find time for me (and for others), which I love. I still have hurdles, but they seem easier to jump. April, it’s been a pleasure! < Previous Why can’t I ‘just do it’? Next > Why do we waste our time, wishing it away? April has brought both joy and sadness. It was the month that baby Jesse was born but also the month that I lost my wonderful Grandpa 😢.